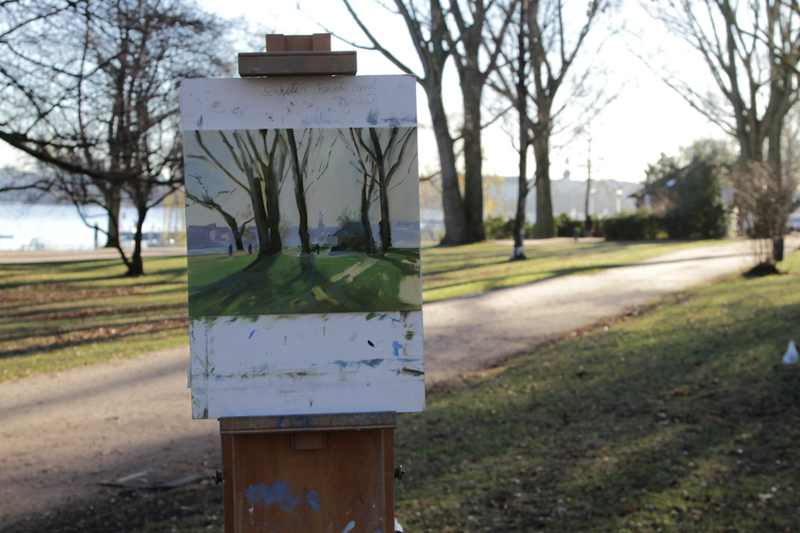 After what felt like an eternity finally could paint plein air again. Originally I wanted to go to my favorite spot at the river but the sky was spotless blue without even a single cloud. So I turned to a new location to checkout some new idea for an upcoming exhibition. It was a frosty morning but I felt so happy to be there. Some people obviously felt the same way because one lady bought the painting right there from my easel. Das ist wieder ein wunderschönes Bild und auch einmal ganz andere Farben! Kommen da noch mehr Bilder mit Blick auf die Hamburger City im Hintergrund?